The Moonshine Cowboys Riding Club is a group of people bonded together with their love for motorcycles and the open road. The group, formed in 2012 and started their first fundraising events in 2013 to support causes for non profit groups.​ They stay together because of their commitment to various causes and helping others in need. They have a full charter and are accepting new members. The first annual Moonshine Cowboys Ride for a Cause in 2013 raised $3,500 (net) for breast cancer research. The second year (2014) raised $6,000 (net). 2015 events and activities include a community appreciation day in May, a June blood drive, the third Ride for a Cause in August, and adopting families in December. Francine's Friends will be one of the local charities to benefit from the 2015 "Ride for a Cause", to be held on June 20, 2015. To find out more, visit their Facebook page by clicking here. 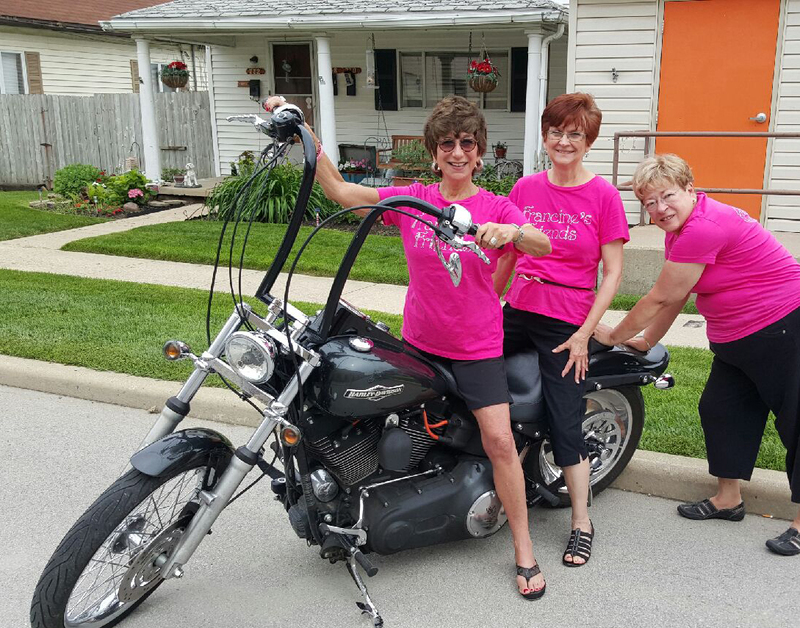 For more information about this year's "Ride for the Cause" or how to purchase a calendar, contact Bill at clarencegriese@yahoo.com or (260) 571-1127. Cost is $8.